CALENDAR & ALL INFORMATION CAN BE FOUND ON THE LH SIDE TABS ON THIS PAGE, and below. SPREAD THE WORD ABOUT THESE WONDERFUL GROUPS!! CONTACT: hym@highlifehighland.com to arrange an order. 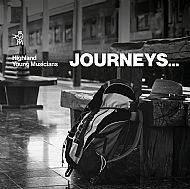 HIGHLAND YOUNG MUSICIANS groups are the north of Scotlands PREMIER youth music activities, promoting excellence and access through supported music activities. They lie at the top of the 'pyramid' of progressive activities run by High Life Highland music staff - but are not restricted to those who get lessons through HLH Instrumental Service - anyone of the appropriate standards can apply for membership. Membership for all groups is decided after the annual Workshops Day. 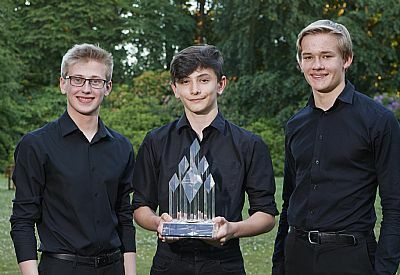 HYM musicians come from all over Highland and the groups are an ideal opportunity for members to make friends beyond their local areas whilst enabling musical experiences of the highest standards. with Concerts Festival (Aviemore) 29/30 Mar 2019 (including overnight). All players / singers should be approaching or above Grade 4 AB/Trinity standard at the time of application, or should have suitable experience. Applicants who are working towards the appropriate standards and aim to achieve this by September of the application year are more than welcome to audition. Where there are an excessive amount of applicants for any particular instrument/group, priority may be given to players who have shown commitment and gained experience in a school or Area group run by Highland Council Music Instructors. This will not be to the detriment of those for whom Highland geography means that such a group can’t be accessed. Highland Young Musicians meet for intensive rehearsal days rather than weekly practices. There are 4 Saturday rehearsals before the Concerts Festival in the Macdonald Aviemore Resort (with all members staying over). All we ask is that members commit to the few dates on the calendar, making the most of the musical and social opportunities to extend experiences and have fun! Highland Young Musicians provides free transport to and from rehearsal days from Wick/Thurso (collecting at various places en-route south); Fort William; Skye & Plockton; Kingussie & Grantown; Ullapool. Transport provision is subject to change depending on the numbers of members from each area. ‘Silver’ members are provided with supervised accommodation at the Aviemore Concerts Festival (all members are encouraged to stay at this weekend).